So is it really, truly a force, tasked with anything (? 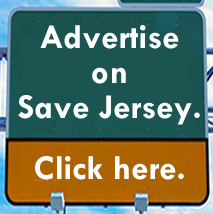 ), Save Jerseyans, if it meets only three-times in 16 months without substantive public participation? 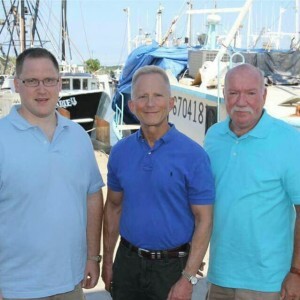 That’s the question GOP LD1 Assembly candidates Sam Fiocchi and Jim Sauro are asking this week after Democrat incumbent Bob Andrzejczak’s “Economic Development Task Force” met for only its third meeting on August 27th after its formation approximately back in May 2014. 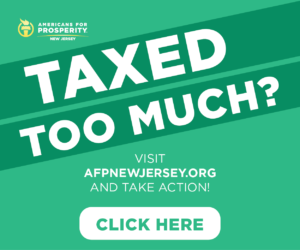 Assemblyman Fiocchi’s own approach has been much different than the purely symbolic gestures offered by his Democrat colleagues (who’ve sponsored or co-sponsored pitches for 100 task forces or commissions in recent years), including the presentation of detailed proposals and highly-interactive meetings with regional business owners. 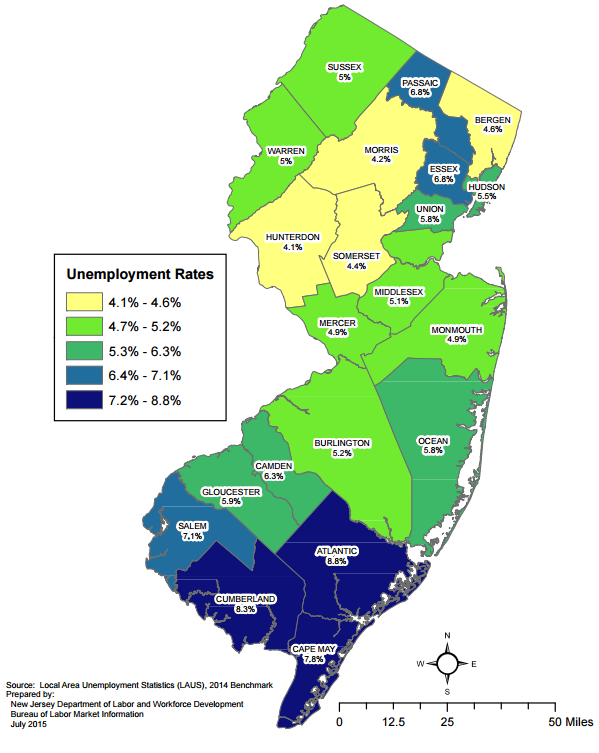 Van Drew and Andrzejczak’s antics come at an inopportune time for South Jersey when its unemployment rate in the Cape May/Cumberland dominated LD1 (see exhibit left) is the worst in the entire state of New Jersey. 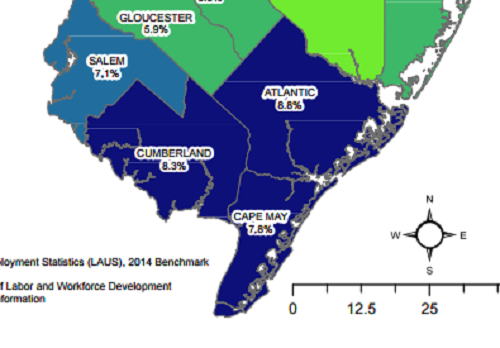 A regional economy tied to Atlantic City and tourism in general, as well as related and unrelated seasonal industries, finds itself particularly hard-hit without leadership towards a diversified, year-round economic jobs model (note: check out Tom Kean Jr.’s recent Cape May Brewery visit for one aspect of a more forward-looking vision for South Jersey). 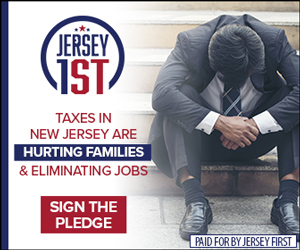 Meanwhile, Van Drew and Andrzejczak’s party continues to push for ever-higher job-crushing taxes. Most of these task forces are a sham to make members of the public feel like their input has some chance of being implemented. Then they trash the recommendations, hire consultants, pay them five figure fees out of the taxpayer money. And I read where Andrzjezak and Land along with Van Drew are going to be in Ocean City on the evening of the 2nd. I only spend weekends – sometimes longer ones but don’t think I can stretch it to Wednesday – but hope the media turns out and reports on the event.